There’s no doubt that it takes a special kind of person to be a nurse. The hours are long and the job is tough. Some say, “nurses are angels in comfortable shoes”. 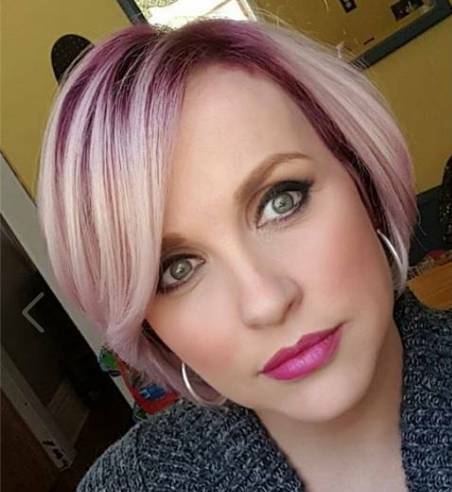 When one woman walked into a salon this particular stylist took the time to really get to know her customer. 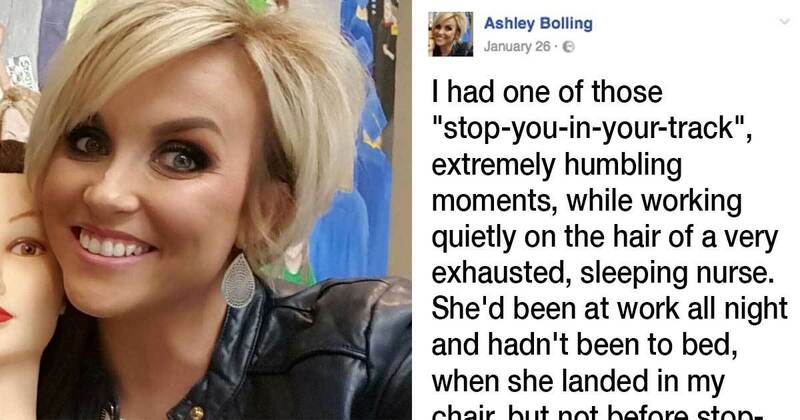 That’s when Ashley Bolling, the owner of Captivate Salon & Spa in Whitesburg, Kentucky had a moment to realize who the person in front of her really was. As the nurse propped her feet up before falling asleep, Ashley couldn’t help but notice her shoes and began to wonder about this lady as she did her hair. “I wondered how many miles those shoes have walked. I wondered what they’d walked through. Blood? Tears? In & out of the countless rooms of the patients she’s cared for? I wondered how many hours they’ve carried her, and all those like her, while they literally save the lives of those we love and hold the hands of the ones who can no longer fight that fight. The post was shared thousands of times, but no one appreciated the gesture more than Jodi. Her message was to express gratitude towards other unsung heroes like her nurse friend. Ashley also explained her client’s husband stopped by the salon because their daughter forgot her shoes for track, so the lady took hers off and sent them for her daughter and left the salon in socks! Ashley also revealed she even grabbed her some breakfast before coming to the salon. Nurses work way harder than given credit for we fail to be grateful for their hard work and long hours and are always thinking of others.